Richards-Wilcox is a proven leader in the industry and is committed to being the highest-quality, most competitive overhead door manufacturer in the world. Carriage House Collection – Rockwood Series: A Rockwood three-section carriage house door brings unparalelled warmth and individuality to your home. Custom-crafted overlays of clear red cedar on our technologically-advanced, foam-insulated steel panels offer vintage style with unsurpassed structural integrity and a total door thickness of 2 3/4” (70mm). Carriage House Collection – Echo Ridge XL Series: We’ve taken our beautifully-crafted Echo Ridge door and fitted it with a larger 28″ or 32″ (711mm or 813mm) top section to showcase our extra-large windows in Insert and Clear designs. This unique, three-section door has overlays in five styles, providing numerous design combinations and a total door thickness of 2 3/8” (60mm). 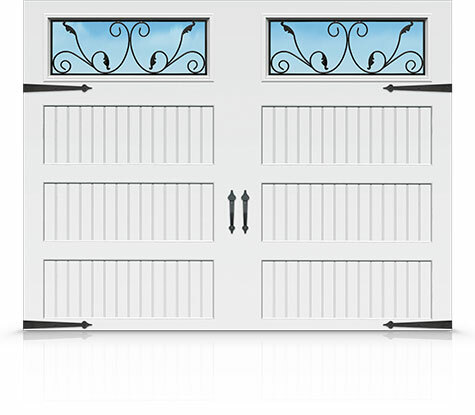 Customize with decorative hardware and four window options to add period-charm and curb-appeal to your home. Carriage House Collection – Echo Ridge Series: A beautifully-crafted door that has a vintage look matched with technologically-advanced durability and strength. Overlays in five styles provide numerous design combinations and a total door thickness of 2 3/8″ (60mm). Add period-charm with authentic-looking decorative hardware and five window insert options. 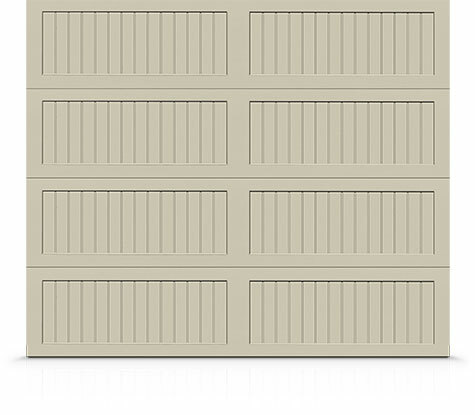 Design-A-Door: Create the perfect garage door for your home in just a few steps with National Overhead Door. 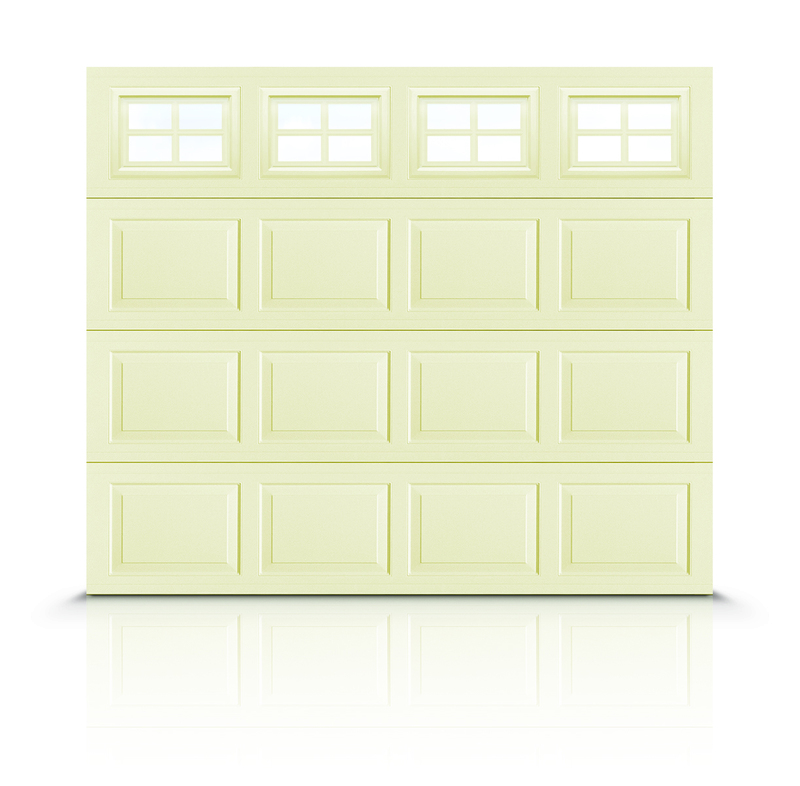 Give us a photo of your home and outline the location of your existing garage door and we can help you create your new garage door with every available option in the Richards-Wilcox collection. Briarcrest Series Carriage House Doors: A 24″ (610mm) top section showcases exquisite window options in a wide selection of carriage house panel styles. Whether you choose the old-world craftsmanship of the Wrought Iron or the classic simplicity of 4-Over-4 Pane, 4 Pane or Clear, the view has just improved. The perfect balance between exceptional beauty and enduring quality, a Briarcrest garage door will transform your home from ordinary, to extraordinary. 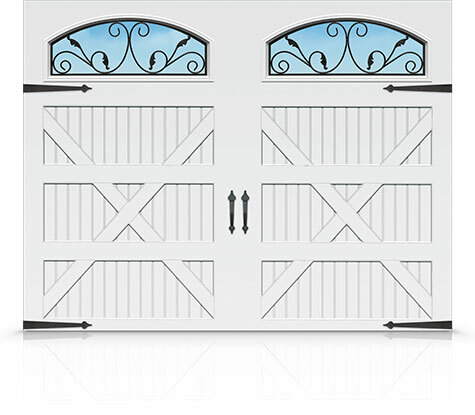 Grandview Series Carriage House Doors: …not your average door. The Grandview is built with a 24” (610mm) top section to showcase our beautiful selection of extra-large windows. Choose Wrought Iron, 4-Over-4 Pane, 4 Pane or Clear to compliment your home’s exterior and enhance its curb appeal. Exceptional quality and the opportunity to create many different looks with a wide variety of panel styles makes the Grandview a perfect choice for the discerning homeowner. Premium Series Carriage House Doors: Add character and beauty to your home with our Premium panel styles. Authentic woodgrain texture embossed on the panels has the look of wood but the strength of steel. Customize with gorgeous windows and choose from ten contemporary colors. Find the perfect style to give your home the distinctive, elegant look it deserves. Classic Series Carriage House Doors: Choose enduring quality and time-honoured style with any of our Classic panel options. Authentic woodgrain texture embossed on the panels has the look of wood but the strength of steel. Add designer decorative windows and choose from eight contemporary colours. You’re guaranteed to find the perfect look to add value to your home and enhance its curb-appeal.